I decided not to write about the major « must-do » places in Singapore (Marina Bay Sands, Sentosa, The Singapore Eye, The Raffles Hotel…) to begin with. I’d much rather share my personal experience of the city and write about the places I like most. One of my favourite areas is definitely Haji Lane. It’s a tiny alley buzzing with energy and new ideas, where entrepreneur and artists of all ages start their own shop, a place where you can simply walk around and enjoy the atmosphere, while having a look at outlets’ fashionable and original products on display… and who knows ? You might just end up buying the item you had been looking for for a long time ! 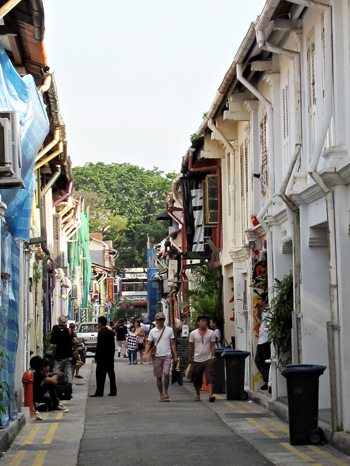 Why don’t most tourists stop by Haji Lane ? Well you see, when you are stopping over in Singapore for a few days, guidebooks and travelling websites will recommend you to go to Arab Street to experience the “muslim district” by the mosque, but few will really tell you about the charming lane hidden between Arab Street and Bali Lane (where the Blu Jazz Cafe is, also quite famous). So as a result, you might end up walking up and down Arab Street, thinking it’s mainly full of touristy shops, and leave a little disappointed. My recommendation : take the time to walk around famous places ! You will discover quaint places that you are bound to love. 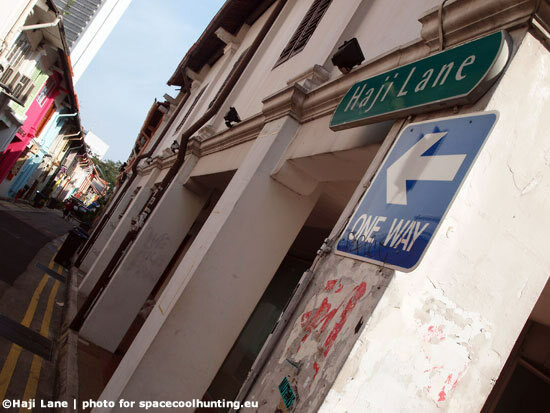 What is there to do on Haji Lane? We all know this is a major subject of interest for both tourists and locals. 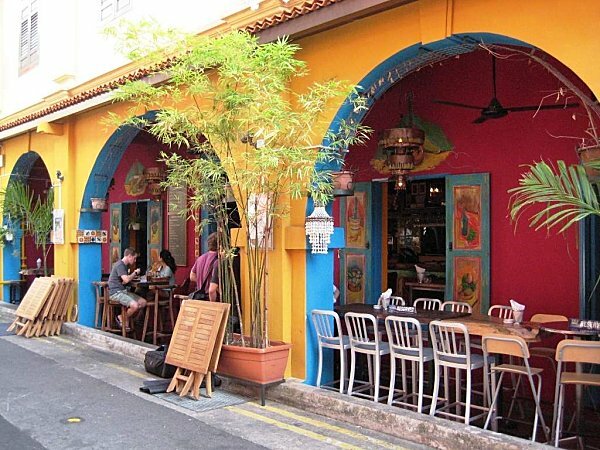 There are a few eateries on Haji Lane that you might want to check out : the Altazzag serves delicious Egyptian food, the Bistro Parisien will provide you with French-halal food, while Piedra Negra has delicious tapas and mexican delicacies… And they are all really good! Of course, you will want to shop. Haji Lane is a great place to find original designs and fashionable items, ranging from vintage clothes to home furnishing, women’s accessories and jewellery, books and DVDs, paintings… To me it is the perfect place to search for items you couldn’t find elsewhere. Coffee and Ice Cream places on Haji Lane are very relaxing and not that expensive. Also, Going Om is one of my favourite spots. It’s a very nicely decorated sheesha place, with decorative paintings on the walls and a very charming second storey too. I definitely recommend it for a chilled outing. For more information on Haji Lane, try this. This entry was posted in Food, Shopping, Sightseeing and tagged arab street, gastronomy, haji lane by hiddensingapore. Bookmark the permalink.